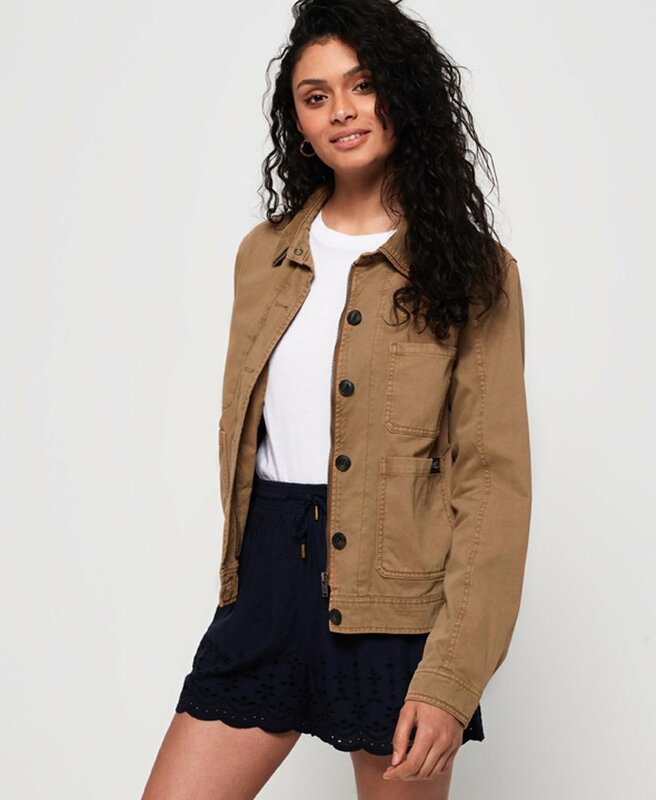 Superdry women's crop Makai jacket. This easy to style jacket is a must have in your wardrobe, and will be the perfect finishing touch to any outfit. The crop Makai jacket features a double layer collar, button and zip fastening, button cuffs and three front pockets. The jacket is completed with a logo patch on one pocket and metal logo badge on one sleeve.